The most underestimated use-case of laptops these days is education. People think that just about anything would serve this purpose. Nothing can be further from truth. As any college student will tell you with gritted teeth; poorly designed laptops can ruin your entire semester. As a college/school student you would want a reliable storage solution to keep your lengthy essays and notes safe and secure. You will want an insane amount of battery, if you are taking too many classes and need to spend at least 8 to 9 hours without the hassle of charging your laptop. Also an important factor will be the weight you have to carry all day long, and the build quality. Carrying a laptop in your backpack can put both you and your device under a lot of strain. Next thing to consider would be the use case. Do you want just browsing and word processing out of it? Are you a Computer science student and maybe want something more bleeding edge? What are the budget constraints? As we go through and review some of the laptops suitable for college use, keeping your own preferences in mind can help you make a better decision. These are for the non-technical students. People who may not bother with various technical know-how about computers, but who may eventually end up needing heavy or demanding application for one or more classes. Another great budget laptop that earned its place on this list is HP 15.6’’ HD BrightView laptop. 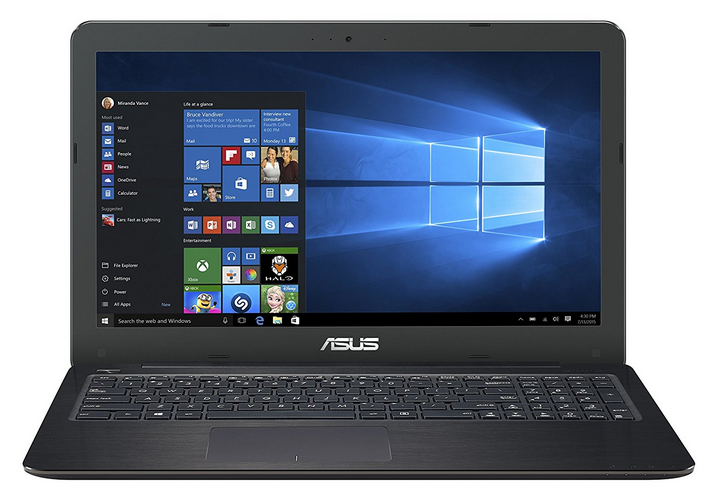 This laptop features the Intel 8th generation Core i5-8250U Quad-Core clocked at 1.6 GHz reaching up to 3.4 GHz, 12GB of DDR4 RAM memory and SVA high-definition display. For your storage and operating system, you got a spacious 2 terabytes HDD hard drive running at 5400 rpm with sufficient storage for software as well as personal files. As for graphics, an integrated Intel HD graphics 620 with shared video memory does a very solid job and provides a good enough performance when it comes to casual gaming, basic video editing, and everyday Internet use. 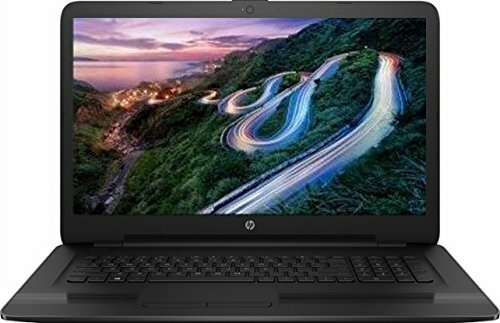 The price of 518$ may be a little bit higher compared to the previous budget laptops, but with this HP laptop, you get a significantly faster Intel Core and CPU that can handle many of today’s tasks with ease. You could have Microsoft Office, web browsing and 1080p Netflix videos ran without any hiccups. For many students that need to run third-party programs rest assured since the Intel Core i5 can handle many of today’s applications without a problem. Another thing certainly worth mentioning would be an unexpected color of this laptop. 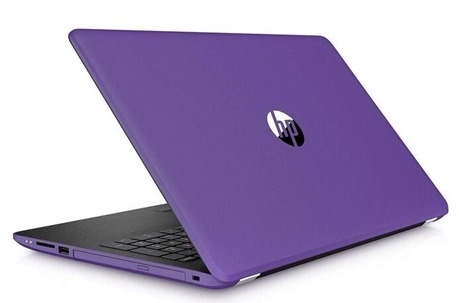 Purple color definitely gives a very outstanding and unique place in the bunch of all the other identical looking laptops and it should be considered a big plus. 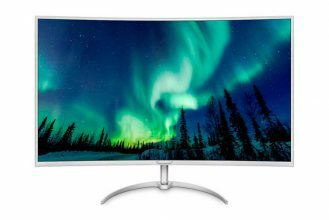 The resolution of 1336 by 768 on 15.6 inches LED backlight high-definition display may cause some of the text to look a little bit blurry and you can expect average color accuracy and average contrast ratios. Overall the display specifications are fairly good considering its price range. As for the battery performance, this laptop features a 3-cell lithium battery pack. On average you are able to get 4 to 5 hours out of a full charge with screen brightness at around 60%. The quad-core i5 processor, as well as internal fans, does an excellent job of keeping this laptop cool. The noise of the fans is fairly quiet for the most part. However, once you got the CPU going you can definitely hear the fans running. It’s a little on the loud side but not too bothersome. It weighs 4.3 lbs with the thickness of 0.94 inches. The performance from the 802.11.ac and the wireless card is very solid and you will not have any connection issues. For connectivity, we also get 2 USB 3.1 ports, 1 USB 2.0 port, an HDMI port which expands your viewing options, and Bluetooth. The additional headphone/microphone jack is also available as well as high-speed wireless LAN built into the screen. Another thing that this laptop has to offer is a Writable DVD Drive which lets you watch and write DVDs using the integrated optical drive. If you are looking for a solid laptop for school or productivity work this one is perfect for you. You could use a large amount of storage and still have room left over with the 2TB hard disk drive. The graphics and CPU are very solid and this laptop is suitable for anyone who wants to buy a good-performing budget laptop. This is a good example of what a powerful, portable machine priced at $500 should offer. It has an Intel i5-7200U, which is a 2-core/4-threads part clocked at 2.5GHz and it can turbo up to 3.1GHz under necessary workloads. It has 3M of cache and is a pretty powerful CPU, popular from mid to high range laptops for providing a responsive system with ultra-low power consumption. For this reason, it is going to be a very common CPU in this price point. The RAM is 8GB in size, which is decent enough to run multiple applications simultaneously without making the system less responsive. Asus is very liberal with upgradeability and you can expand the RAM up to 16GB using two 8GB SO-DIMMs. In my opinion this is really nice for future-proofing your device in a cheap and affordable way. The CPU and chipset are already modern enough so expanding your RAM will give you an extra year or two on this laptop. It is a P-series laptop which means it comes with features like Wake-On LAN (WOL) via which you can wake device from sleep mode by a message sent over the network. This is very important for remote access and maintenance work, like updating many such devices simultaneously over your company or college’s local network. The accents on the body are gorgeous brushed metallic finish in black color and the Chiclet keyboard is ergonomic and comfortable to use for extended periods of typing. It also comes with fingerprint sensor for easy locking and unlocking of the device. It is well engineered and can work accurately even in the presence of dirt and moisture. The display is a 1920 by 1080 resolution 15.6” panel with IPS technology and anti-glare and scratch resistant coating. Asus makes sure that you see crystal clear images on the screen without having to strain your eyes. For students sharing a dorm, this device is surely secure and robust enough to let you rest at ease knowing your assignments and notes are safe. The storage is a standard 1TB HDD which is disappointing because it takes longer load programs and boot the system with an HDD. Upgrading to an SSD is an easy enough process. Weighing 5.22 pounds, and providing 9 hours of average battery-only usage this Professional series laptop is perfect for students for whom academics is a serious business. 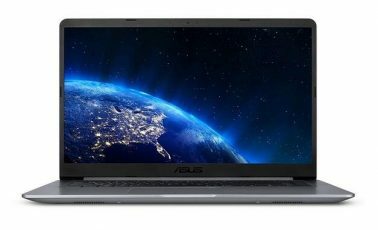 Yet another feature-packed performer from Asus, the K556UA is priced at $550 and offers you a lightning fast 256GB SSD which provides a more responsive system than a HDD. As far as computing goes everything else is similar to the P-series laptop we saw above. The CPU is i5-7200U clocked at 2.5GHz which can turbo up to 3.1GHz. The graphics processer is Intel integrated graphics 620 and it is powering a 15.6” 1920 by 1080 resolution display with anti-glare coating. However, there is no mention of the use of IPS technology or scratch resistant coating so you may have to be prepared for poor viewing angles with probably a TN panel. The RAM is a standard 8GB DDR4 kit upgradable up to 12GB with ease. The build quality is robust and professional and ergonomics are as good as you can get at the $550 dollar range. The display comes with blue-light filtering and the Chiclet keyboard is ergonomic so you can work on this machine for hours and hours without much stress. It is no coincidence that we include this in our list of college laptops. It is responsive, ergonomic and powerful enough to support you as you go through your semesters. ­­­­­­­However, this model does have its drawback. Firstly, it weighs quite a bit more at 6.7 pounds and secondly the battery life is quite poor ranging from 4 to 6 hours on average. Both the factors makes it harder to carry it around all day, especially without the charger. The ports availability is again good enough. It includes 1 USB 3.0, 1 USB 2.0, 1 USB-C Gen 1, RJ-45 Port, 1 Audio Combo jack and an HDMI output port. There’s also a VGA/ Mini D-sub port which can be useful when connecting to an old monitor or projector. IdeaPads have always been my favorite. Lenovo offers plenty of options to choose from in terms of CPU, storage and RAM sizes so you can pick a configuration that is best suited for your needs. 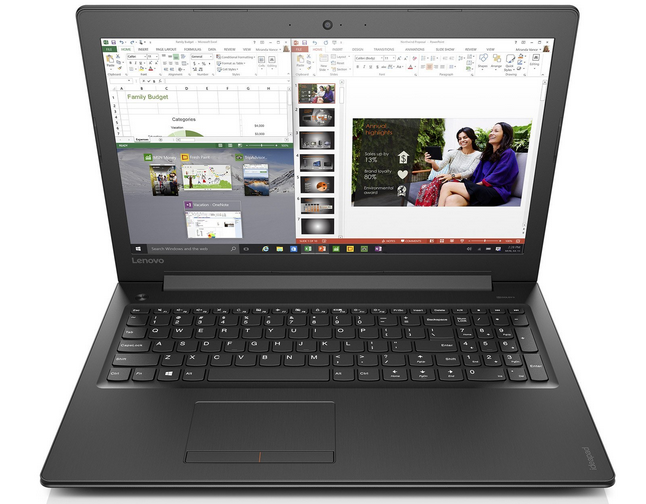 The one configuration of IdeaPad 310 that we have here is priced at $500 and is best for most standard use cases a college student might encounter. The configuration offers our now familiar i5-7200U CPU at 2.5GHz with up to 3.1 GHz of turbo boost. The RAM is also standard 8GB and the storage consists of 1TB of HDD. All in all a pretty decent performer for the given budget and not overly power hungry. If, however, you wish to have an SSD, you can have that too either as a manual upgrade or out-of-the-box from Lenovo. Next up is the body design and it certainly passes the test. The hinges are a little stiff but robust and the entire laptop feels like it is one single solid piece of material. It is meant to survive being carried around frequently and carelessly in a backpack and still be ergonomic and lightweight enough. The finish is matte black both inside and on the lid which looks elegant and feels comfortable not to mention doesn’t wear out over time. The bottom panel has two rubber feet to raise the laptop a little higher off the desk allowing the air to flow freely and also provide a good angle for typing. The display is HD, that is, 1366 by 768 15.6” panel that uses TN technology. The viewing angles could have been better if they would have chosen an IPS panel but for a single person looking straight at the laptop this shouldn’t be much of a problem. The more disappointing factor is the low resolution which is not something you would to still exist in 2017, but Lenovo has decided to cut some corners there. The ports collection include a USB 3.0 port, 2 USB 2.0 ports, a VGA and an HDMI out ports, RJ-45 Ethernet port and a 3.5mm combo jack. Wireless technology includes the latest 802.11 ac which is always nice and handy addition. It weighs 4.8 pounds with a battery back-up of 4 to 5 hours. If you don’t mind the low resolution display or the poor battery, it is actually a good purchase to make. Each individual has his/her own needs and area of comfort. HP’s flagship product offers to fulfill some of the uncommon features that people and especially students may require. First and foremost is the larger display. When you are living in a dorm room, cramming another monitor can be difficult and HP offers 17.3” screen to solve that problem. The hardware specs include an i5-7200U which is a 2-cores/4-threads part clocked at 2.5 GHz (Turbo up to 3.1GHz) with 3M of Cache. It has 8GB of DDR4 RAM for an overall responsive system with plenty of room for multi-tasking. The storage again lacks the SSD option but instead provides a 1TB HDD which can be manually upgraded to an SSD if you want that. Priced at $467 it is certainly the best price to performance that you will see, however the trade-off is that it weighs 5.8 pounds and the 17.3” screen makes it not quite as portable as you may want. Speaking of the screen, HP has done a good job by providing a 1600 by 900 resolution display which spans 17.3 inches. This will provide you image sharpness similar to that of a 1920 by 1080 resolution display at 15.6 inches. The bezel around the screen as well as the lid both are obsidian black in color with hair line texture and HP has taken special care by making the area near the touchpad smooth. This is great for your wrists which rest on that region for hours. The ports available are 1 USB 3.1, 2 USB 2.0 an RJ-45 port an HDMI port and SD card reader. The wireless is a bit older 802.11 bgn. The battery is an unimpressive 31Whr one, which might force you to carry your charger everywhere that you go. Once a gamer, always a gamer. Even when you are a college student and have hours and hours of work to do, if you are into gaming, you are going to want something more than a traditional laptop. Especially, because it is difficult to cram in a desktop in your tiny hostel rooms. 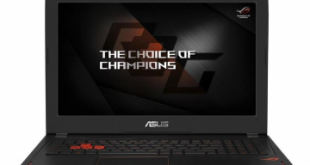 A gaming laptop may provide the ideal balance between both gaming and study. Even people taking courses in design and visual effect may exploit this for their class. Acer Aspire E 15 servers as the perfect entry-level gaming laptop with its GeForce 940MX as well as a good student’s companion with an extra-long battery life of up to 12 hours. It is also a good bang for your buck as it only costs $580. The basic hardware configuration is the same we have been seeing all this while. This include an i5-7200U clocked at 2.5GHz with 3.1GHz of turbo boost and an 8GB of DDR4 memory. 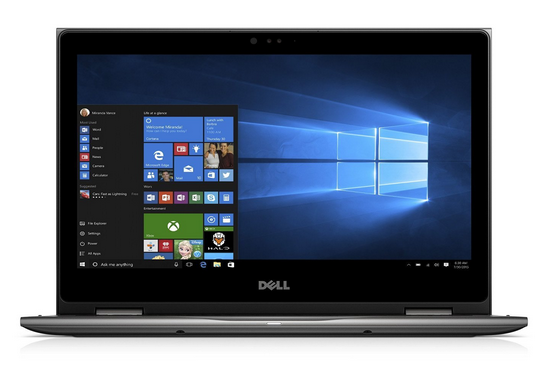 This is one of the few laptops that offers 256GB of SSD at this price point. As already mentioned, the GPU powering this is a GeForce 940MX with 2GB of GDDR5 VRAM. This isn’t impressive enough to run the latest DOOM at the highest settings, obviously. What it does offer is enough GPU power to have fun matches of Overwatch or Counter Strike: Global Offensive both of which run above 50FPS at medium settings, on average. The display is a 1920 by 1080 resolution display spanning 15.6 inches with a crystal clear 94% NTSC for accurate color reproduction. At this resolution most games would playable at medium settings without the FPS dropping below 30FPS. The build is obsidian black in color with hairline textures on the back of the lid. We have our Chiclet keyboard with numeric keypad to provide a decent typing and gaming experience although a Steeleseries keyboard would have been much nicer. The connectivity very future proof, we have 1 USB 3.1 Gen1 Type-C with up to 5Gbps of bandwidth, we also have 2 USB 3.0 ports (one with power-off charging for your mobile devices) a single USB 2.0 port. Also available are HDMI, Ethernet port, and wireless 802.11 ac interface. The laptop weighs only 5.3 pounds, and offers a staggering 12 hours of battery life, making it ideal for an entire day at your college. For $80 more than your traditional device you get a fast SSD and an entry-level gaming performance too, this really makes it a compelling purchase for your upcoming term. Quite similar to the Acer Aspire we just saw, except the SSD, the IdeaPad 510 has identical specs except a generation older CPU and no SSD. The fact that instead of an SSD it offers a 1TB HDD which might be essential for some students and off putting for others. It is priced at $558. The CPU in it is an i5-6200U clocked at 2.3GHz with 3M of Cache. This 2-core/4-threads part with up to 2.8GHz of turbo boost is a little disappointing in 2017. However, if you are not planning on doing anything CPU intensive like video editing or spinning up virtual machines, this is perfectly alright for your casual needs of browsing and word processing. The memory is 8GB of DDR4 RAM and there’s 1TB of HDD storage available. The GPU that is used is GeForce 940MX with a larger 4GB of VRAM which makes it a better performer than the Acer Aspire E 15 we saw before. The display is a crisp 1920 by 1080 panel of 15.6 inches with a matte finish to provide glare protection. The combination of graphics card and display is enough for casual entry-level gaming in a nice portable device. The build is similar to that of IdeaPad 310, with a single shrouded hinge for long years of wear and tear. The plastic lid has a matte black finish to it and the interiors are silver with a black, back-lit keyboard. I really like what Lenovo did with the metal palm rest which provides a cool and comfortable support for prolonged hours of use. It comes with 2 USB 3.0 ports and a single USB 2.0 port along with a VGA and an HDMI out connections. The wireless is 802.11 ac and Bluetooth 4.1. It provides 4 to 5 hours of continuous use from a full charged battery and it weighs only 4.8 pounds. It provides a nice balance between budget and performance and is definitely useful for students who like gaming as much as they like getting things done. Dell’s the occurrence in our list is with an AMD laptop with both the CPU (and rather the APU) can the dedicated GPU from the red team. 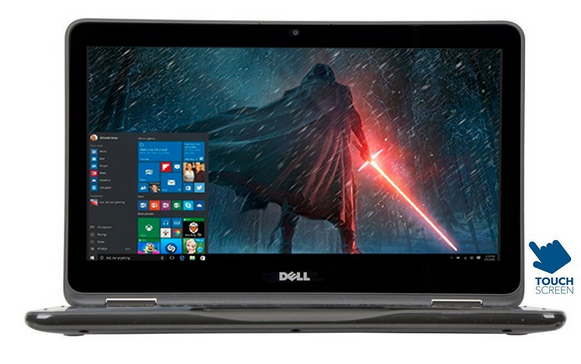 Admittedly, this is not the most cutting-edge performers but AMD parts are significantly cheaper which allowed Dell to keep the price as low as $490 and at the same time provide features like touchscreen and FullHD display. The processor is A12-9700P clocked at 2.5GHz which is weaker than the Kaby Lake processors like 7200U and consumes quite more power than them as well. However, it is a true quad-core chip and can come in handy for the handful of workloads that require multicore performance. If single core performance is what you are looking for then this may not the best choice for you. The RAM is our standard 8GB sized and the storage includes a 1TB HDD. Powering the graphics is a Radeon R7 which powers a 1920 by 1080 resolution display with Dell Truelife touchscreen technology. The build is not super robust but it is neat and simple to use. The palm rest is silvery-grey with hairline texture and the Chiclet keyboard has a numeric keypad and is backlit as well. 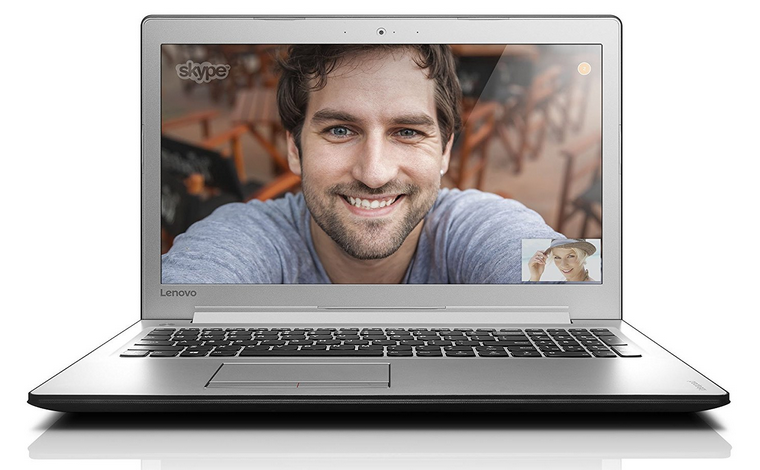 The laptop weighs 5.1 pounds and provides up to 4 hours of battery performance. This laptop is a poor performer but if you are on a tight budget and still want to have a full set of functionality from gaming to touchscreen this is something you should definitely consider. There are still some use cases where portability is all that matters. You may want something really small and light, which is powerful enough for your word processing or browsing but doesn’t come in your way every now and again. Grad students who may want to just want to login into their university servers for heavy number crunching from anywhere in the campus, or just want to travel a lot while documenting everything would not really care for a 15.6” screen or the hassle of a heavy laptop. The convertibles are an easily solution. With Kaby Lake 7200U being power efficient, it can run on battery longer and the touchscreen may help graphic artists or art students with their college work. Not to mention the tablet mode with touchscreen really helps out web developers to test their layout and functionalities for the mobile devices. All the uses cases considered, let’s look at the two most impressive $500 convertibles that you can currently purchase. Dell has done a really good job at scaling thing down from 15.6” to 13.3” in this convertible. Everything from keyboard layout to the hinge design shows attention to detail and we will discuss more about them after covering the basic specifications. For CPU we have i5-7200U clocked at 2.5GHz and turbo up to 3.1GHz. The RAM is 8GB in size and they both combine to give a performance that is equal to that of a traditional laptop but in a much smaller form factor. Storage is a 1TB HDD instead of an SSD but it does help to keep the cost as low as $570. The build quality is really nice, with narrow bezel and sharp edges. Hinges are smooth and without any slack. The dull gray finish may however accumulate oily deposits that can be hard to clean over time. The most prominent feature about this laptop is how light it is, at 3.5 pounds it still packs quite a punch in terms of computing horsepower and has a battery backup of 6 hours of continuous use, on average. The keyboard is black and backlit. To fit it in a 13.3 inch form factor, they have to get rid of the numeric keypad. However, they have done a good job at preserving the most important auxiliary keys – Home, End, Delete, Insert and Page Up and Page Down keys. A few of these are mapped on to the arrow keys but are still convenient to use and helps boost productivity. Display is a crisp 13.3 inch display with 10 finger touch support and 1920 by 1080 native resolution. The touch feature can perform most function and the hinges lock at several angles to provide a good viewing experience in various modes for watching movies, using tablet apps and regular laptop use cases. In terms of ports connectivity we have 2 USB 3.0 ports, 1 USB 2.0 port, an HDMI and sadly no RJ-45 port. This is done to make the laptop more compact and slim. All in all, this is a really small and really affordable device which packs quite a lot of performance capabilities too. 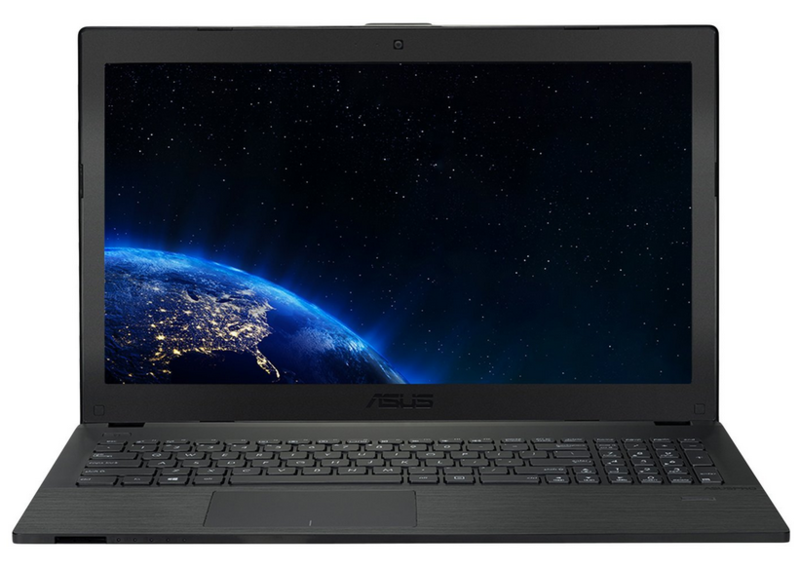 Asus fills in the needs of students who need more battery life than the 6 hours that Dell offer. It is also a bit more affordable at $535 which makes it more appealing to college students who are often on a restricted budget. There are several more difference in terms or design and user-friendliness and we will get to them after covering the base specifications. The CPU is our power-efficient and yet powerful i5-7200U clocked at 2.3GHz and which can turbo up to 3.1 GHz. The RAM is a where Asus has decided to cut the corners and we end up with only 6GB of memory which is not going to be an issue unless you plan on running virtual machines or doing heavy multitasking on it. For storage we are yet again stuck with 1TB of HDD but we recommend upgrading to an SSD for better performance. Being a convertible it does offer several modes of viewing and with Windows 10 tablet mode feature you can use the touchscreen and make the most out of it in terms of productivity, entertainment and ease of use. The keyboard layout lacks numeric keyboard as the device is needs to maintain 13.3 inches of form factor. However, important keys like Home, Delete, Page UP, Page Down, Insert and Delete are all conserved so you are going to face no hassle in maintaining your workflow at its best especially if you write a lot or program a lot these key mappings are extremely handy. The keyboard is also backlit. 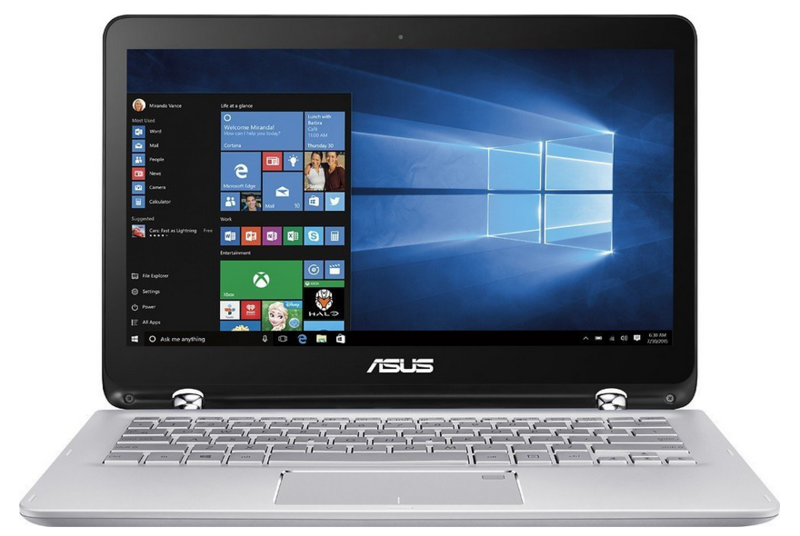 The color scheme that Asus has chosen is a classy dull-silver with the hinges bright silvery. This scheme is quite unique and professional but it might get dirty or stained easily. The bezel however is black and the display is yet again a gorgeous 1920 by 1080 display with 10 finger touch support. Also available is a fingerprint reader for easy unlocking of the device. Asus has completely abandoned a dedicated USB 2.0 port and we get 2 USB 3.0 ports and a USB Type-C port for faster data transfer speeds. Also included is an HDMI out port for external displays. The battery life is an impressive 10 hours, on average, making it all the more appealing for college students and it also weighs only 3.3 pounds which makes it the lightest laptop on our list. College or school is often jam-packed with activities. Information is often fed to you at a rate greater than you are comfortable with and a reliable laptop can go a long way in avoiding frustration or failures. Ask yourself what your use-cases are, talk to classmates and consider the classes that you are taking. The use cases are the most important deciding factor selecting the one option that is going to be the best for you and your productivity.